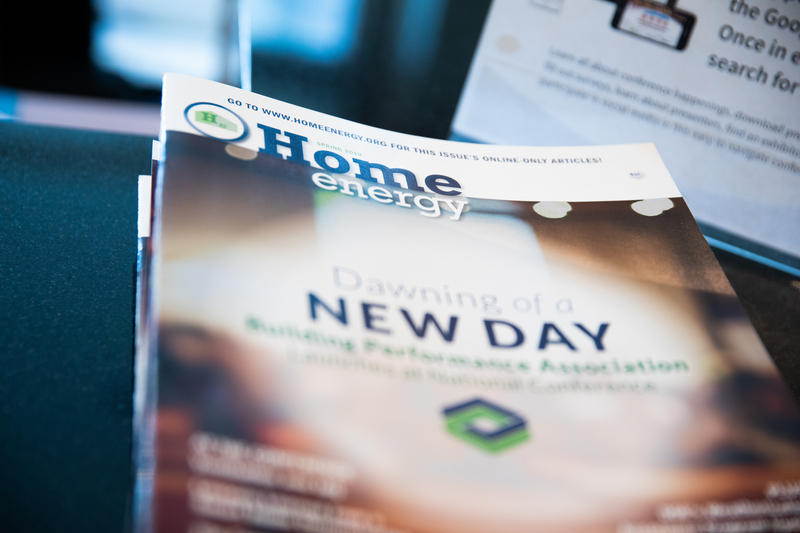 Home Energy Magazine - Blog :: A Recap of the Largest National Conference in our History - HPC19 is in the Books! 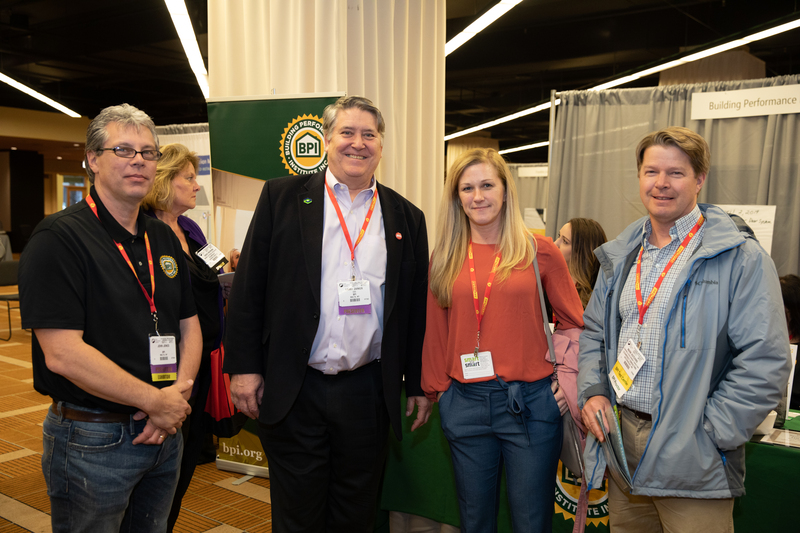 We wrapped up the 2019 National Conference & Trade Show on April 4, 2019, after four full days of workshops, sessions, events, and networking! As many of you have heard, we broke the record for the number of attendees at this year’s event – 1,942 industry professionals from all 50 states plus Washington D.C., Puerto Rico and three Canadian provinces. All joined under one roof to learn, grow, be inspired and meet new people. After 33 years of producing this conference, we are proud of this great success! There has never been a better time to rally and promote our industry. On both sides of the aisle, eyes are on clean energy and energy efficiency during this time when national party platforms take shape. With a record number in attendance, Chicago was the perfect setting to trumpet the newly formed Building Performance Association. As announced in Tuesday’s general session, the Building Performance Association is a new industry association that aims to advance the home and building performance industry by ultimately delivering improved energy efficiency, health, and environmental performance in all buildings. As part of the new association strategy, chapter development sessions in Chicago dovetailed with our policy and membership efforts. We had a big turnout of Pennsylvania registrants, where momentum is gaining to establish a new chapter. As part of our ongoing advocacy efforts, please take the opportunity to sign this letter in defense of the federal funds for energy efficiency, if you have not yet signed. (It’s the same letter that was available at the conference.) Tell your friends, family, and work connections about it so they can add their voice. The letter is open to all U.S. citizens. You heard from our hosts, ComEd and Franklin Energy, as well as the assistant secretary in the Office of Energy Efficiency and Renewable Energy (EERE), Daniel Simmons. Clearly, some attendees who questioned Assistant Secretary Simmons took issue with his politics, but the exchange was a fine example of civil discourse. In an age where cable news tells us that since we are so deeply divided we are incapable of disagreeing civilly, our industry disproved that on a large stage. A special thank you to our long-time sponsors, E4TheFutureand the Department of Energy, as well as the new Building Performance Association founding sponsors: EFI, DowDupont, HP-Tools, Lennox, TEC, TruTech Tools, and TVA. Our conference sponsors who help to provide everything from coffee breaks to Free Wifi - we thank you! Without support from you, none of this would be possible. Year after year, the number one reason people attend the national conference is to network - the tradeshow floor was no exception this year! With 60 exhibitors, the area buzzed while new connections were made and old ones solidified. New products, services, and equipment were showcased, and according to many, the quality of this year's show was unparalleled! Thank you to our exhibitors for helping make HPC19 such a tremendous success. Several educational sessions were well attended. “Bridging the SWS Gap – from Paper to Field,” “Combustion Safety Testing Protocols,” and “Is THAT a Good Energy Audit? What to Look for; in What Order,” as well as “DOE WAP Updates” were some of the most popular this year. A new track focusing on workforce development demonstrated examples from across the country to improve staff development and retain, motivate, and train employees. The Smart on Smart Workshop was a smashing success! Sponsors ecobee and Google were thrilled, and the place was packed. We had Q&As with contractors and manufacturers that could have gone on all day and into the evening. Workshop attendees received certificates, earned punch cards, and buttons for attendance, which turned out to be quite the status symbol! Shockingly, people were clamoring to get earn buttons, and it was a thrill to see both the big green buttons and the punch cards on attendee lanyards. There were evening sessions each night including a screening of Home Diagnosis, a series dedicated to the topic of home performance, TED-Style Talks, and on the final night, Pecha Kucha. Presenters each used twenty slides and twenty seconds per slide to tell stories about their passions and concerns. Each night drew a large number of attendees, and all sessions featured quite the lively bunch! Industry friends said goodbye to a rock star this past year, Mike Rogers. 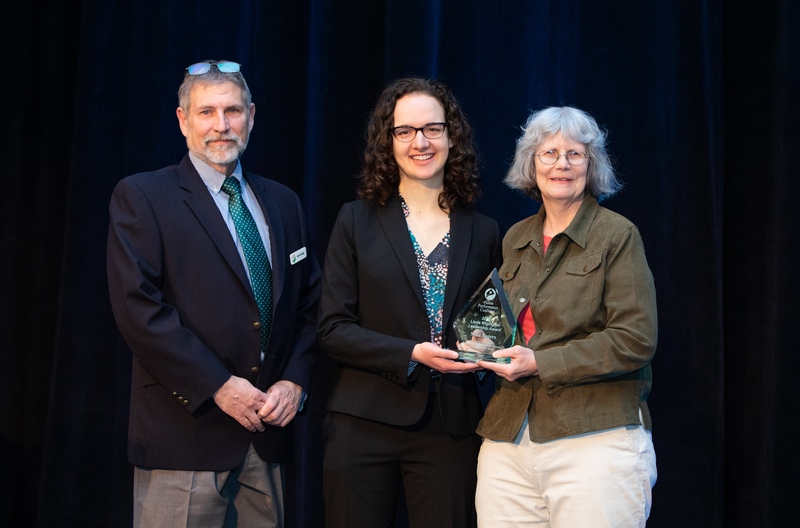 Mike’s daughter Sabine Rogers accepted the Linda Wigington Leadership Award on his behalf, and the HPC Memorial Scholarship Fund was renamed to the Mike Rogers Memorial Scholarship Fund in his honor. Sabine’s speech touched many hearts and everyone who met her was impressed with her natural leadership. She carries herself like her dad: a pillar of strength with intelligence to match. Beginning with the 2020 National Home Performance Conference, small contracting businesses with annual sales equal to or less than $5 million, will be eligible to apply for a scholarship that will not only cover conference registration but will also include a travel stipend. To donate to the Mike Rogers Memorial Scholarship Fund, click here. 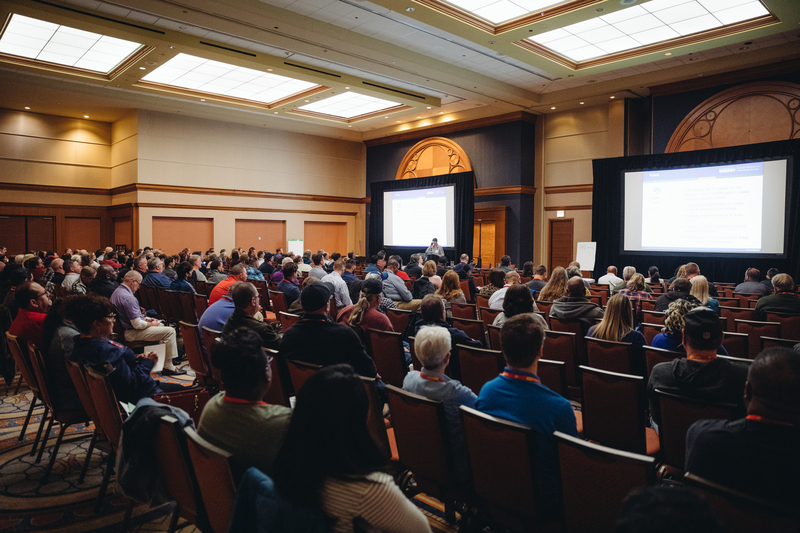 As we reflect on the events of this year’s national conference, we want to thank presenters, attendees, volunteers, exhibitors, sponsors, and friends for your support and participation. We hope that you will join us next year at the 2020 National Home Performance Conference & Trade Show, April 27-30, at the Hyatt Regency New Orleans. See you in NOLA!